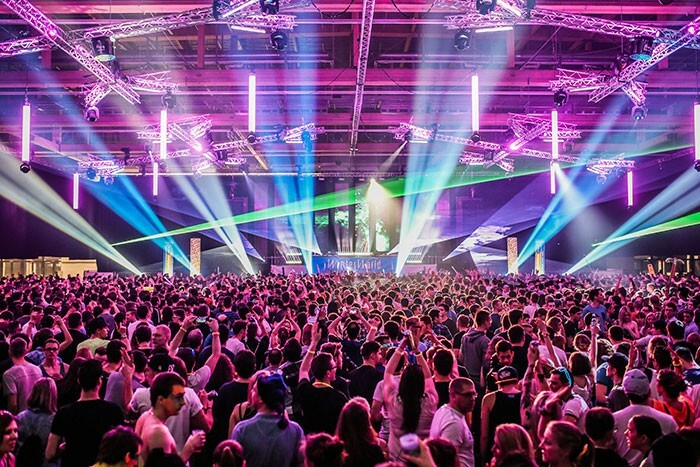 Germany– Eleven hours of electronic sounds spanning three floors, with over 20 DJs, live acts and a crowd of 16,000 ravers saw the German dance party season kick off in style with the latest WinterWorld. 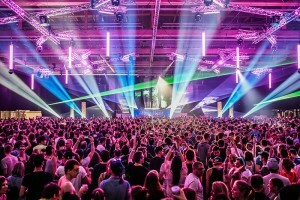 After last year’s Goodbye Wiesbaden, the successful techno event had grown significantly (by around 50%) by the time it made its debut at the new location of Frankfurt, and took up occupancy over three floors in the Messe Frankfurt’s Hall 11. The event saw lighting designer Stefan Rausch from Schall & Schein, on behalf of event production company GB Mediensysteme, deploy more than 30 GLP Spot Ones, 18 GLP impression X4s and 16 GLP impression XL RZs, to form the ‘icicles’ under the roof of this crystal confection. 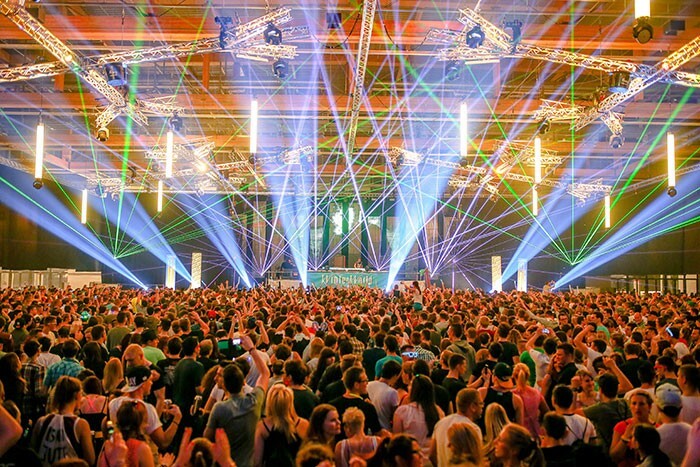 However, this WinterWorld was not the first collaboration between Rausch and technology provider, GB Mediensysteme; Rausch had been involved four years ago as a system engineer at the massive Nature One, one of the biggest techno events in Germany, and Mayday at the Dortmund Westfalenhallen. But as a designer, Rausch’s major challenge was to turn a ‘dry’ exhibition hall into an electronic winter landscape. "A design grows as dialogue with the customer develops,” he says. 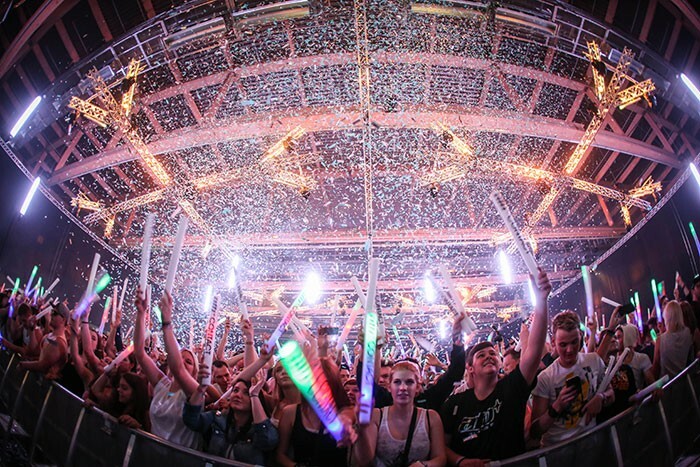 And in view of the advanced ticket sales, and the allocation of a favourable budget by the dance event promoter i-Motion, he was able to use the resources to fuel his creativity – and highlight sets by ATB, Robin Schulz, Klaudia Gawlas and Felix Kröcher. With ice crystals as the theme, Stefan Rausch and his technical team of Robin Röhrig, system technicians Daniel Wester and Phillip Nickel and rigger Uli Hoppert worked their magic through the night to meet the demands of the 16,000 party people. At the top of the ice crystals, suspended from trusses, were the 32 GLP Spot Ones, fitted with beautiful gobos and excellent imaging. "Although these lamps save tremendously on power requirement, at this event this was not necessarily the most important aspect so much as the sheer impact,” said Rausch. Sixteen further impression 300 RZs were installed by Rausch at the top of the Icicle, an in-house development by GB Mediensysteme. “Originally, these tubes were conceived with an LED interior – as a kind design stand,” he said. "But with Stefan Konstanty of GB Mediensysteme we came up with the idea of these tubes mounted on top of the Icicle, to fly beneath the ceiling, each equipped with a GLP impression. "He said that using the Zoom version of the impression, with 300 Luxeon LEDs he could alternate between both a subtle and extremely bright eye-catcher, which created magic in the set as it scattered beams over the heads of the ravers. Finally, designed into the set were 18 GLP X4 – which are now stocked in large numbers by GB Mediensysteme. "Compact, fast and light" is how the product is described, with 19 RGBW LEDs and a zoom of 7° to 50°.